On Sept. 21, Whitworth alumna Andrea Palpant Dilley, ’00, will give a reading of her new memoir, Faith and Other Flat Tires: Searching for God on the Rough Road of Doubt (Zondervan, 2012). The reading will take place at Whitworth's Robinson Teaching Theatre in Weyerhaeuser Hall at 7 p.m. Admission is free. For more information, please call (509) 777-3253. Dilley is the recipient of Whitworth's 2009 Young Alumni Award and has collaborated with Whitworth to produce the documentaries In Time of War, Art in Me and A Portrait of Leonard Oakland. Her writing has appeared in Rock and Sling, Geez magazine, Utne Reader, and Jesus Girls: True Tales of Growing Up Female and Evangelical, as well as online with CNN, Huffington Post and Christianity Today’s Hermeneutics.com. Following the reading, Dilley will sign copies of Faith and Other Flat Tires, which will be available for purchase. Refreshments also will be available. Dilley graduated from Whitworth in 2000 with degrees in English writing, literature and Spanish. She is a documentary producer whose work has aired nationally on American Public Television. 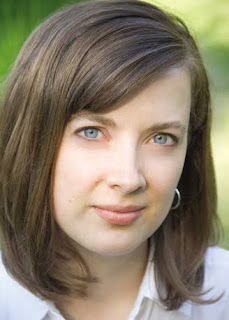 For more information on Dilley and her upcoming readings, visit www.andreapalpantdilley.com. Faith and Other Flat Tires is available at amazon.com, zondervan.com, Barnes & Noble, and local bookstores. Copies may be purchased at the Whitworth bookstore at (509) 777-3277 or online at http://whitworth.thecampushub.com. Annie Stillar, program assistant, English department, Whitworth University (509) 777-3253, or astillar@whitworth.edu. Andrea Idso, interim public information officer, Whitworth University, (509) 777-4703, or aidso@whitworth.edu.